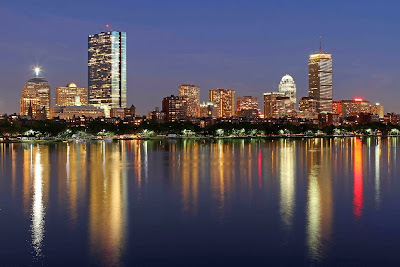 Skyline Photo Tip: Incorporate skyline reflections in rivers, ponds, lakes or other available wet surfaces. 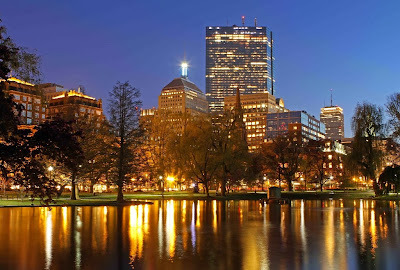 In this Boston skyline photography image I used the pool of the Christian Science Plaza next to the Prudential Center in the Back Bay neighborhood of Boston to my advantage. Setting tripod up low allowed me to capture the entire power of these three skyscraper and Boston Landmarks. 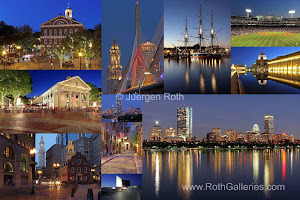 Last year I explored many photo locations to photograph the Boston skyline. 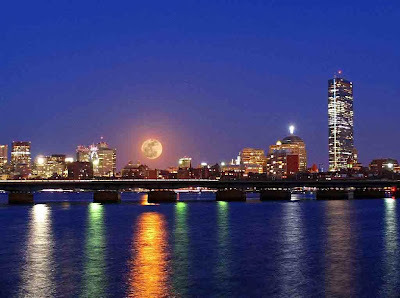 East Boston offers one of the best and magnificent views. 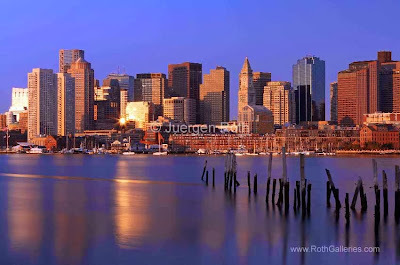 It provides ample lighting at sunrise or sunset and has become one of my most favorite city skyline locations. 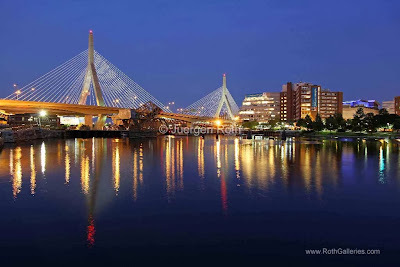 A couple of weeks back I translated the view into a beautiful Boston Panorama Photography image. I had this image in mind for quite some time but never really exploited it. 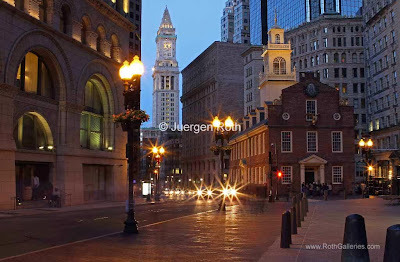 The tricky part of shooting the Bean Town nightscape from this photo spot is not to blow out the well-lit Custom House of Boston. I therefore captured the images in manual mode, metering on the tower before taking the 7 pictures. I used the camera exposure compensation feature to underexpose a little thereby further enhancing the blue colors of the clock. By overlapping each shot at 30 to 50% with the previous one I made sure photoshop could stitch the entire cityscape image that I envisioned. 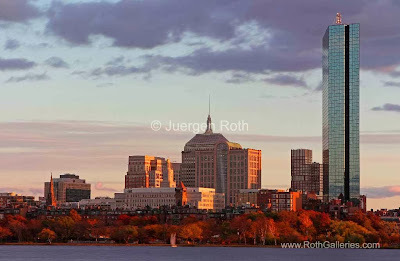 During post processing I removed dust spots, adjusted lighting to bring out the red of the financial district office buildings, adjusted contrast and color saturation before cropping the final Boston skyline panorama image and sharpening. 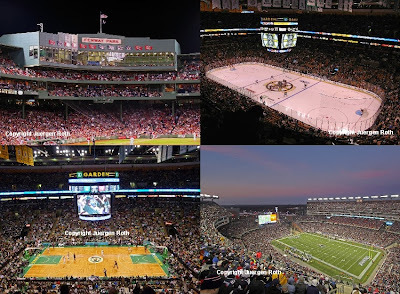 Stay tuned for More Panoramas! 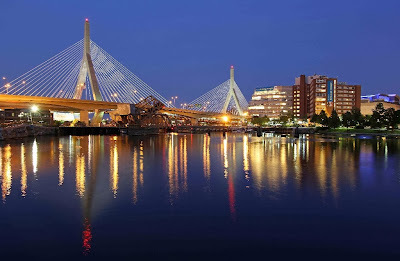 Photo Tip #1: Use your tripod maximizing image quality and eliminating blurry pictures. Photo Tip #2: Photograph in aperture priority mode or manual mode using small apertures (large f-stop numbers like f/11 and higher) for sufficient Depth of Field. 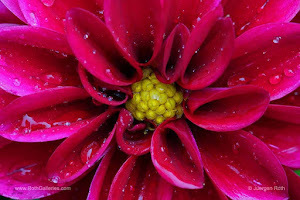 Photo Tip #3: Shoot at low ISO settings like ISO100 and below Minimizing Digital Noise in your images. Photo Tip #4: Use your cable release, remote release or camera self timer to avoid camera shake when releasing the shutter. In addition consider using the mirror lock up feature on your camera. 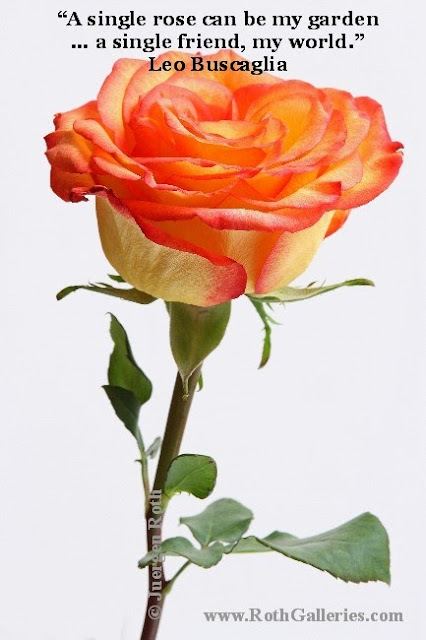 Photo Tip #5: Saturate colors and eliminate unwanted glare by utilizing a Polarizing Filter. 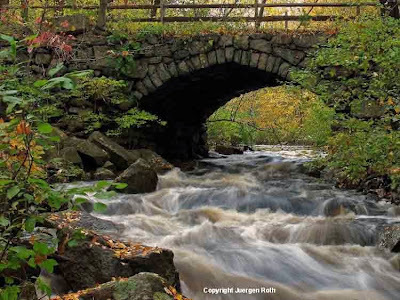 Photo Tip #6: Overcome high contrast between the bridge and bright skies by using a Split Neutral Density Filter. Photo Tip #7: Extend exposure times to multiple seconds or even minutes to create stunning Silky Water Effects by using a Big Stopper or Variable ND Filter. 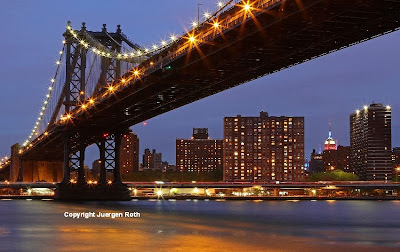 Photo Tip #8: Choose a wide-angle lens for wide panoramic views that include the imposing bridge architecture. Experiment with long lenses capturing more intimate compositions of the bridge structure. 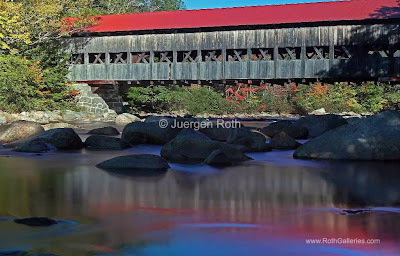 Photo Tip #9: Plan for windless days or be patient and ready when the moment of silence water occurs to photograph a colorful reflection of a bridge. Photo Tip #10: Incorporate reflections in still pools or calm waters or other foreground features like rocks and boulders to add more interest to the composition. Photo Tip #11: Create magnificent Skyline Photography images by utilizing architectural marvels like bridges to lead a viewer into the composition. Photo Tip #12: Last but not least enjoy the ride and have fun on your Photo Adventures! 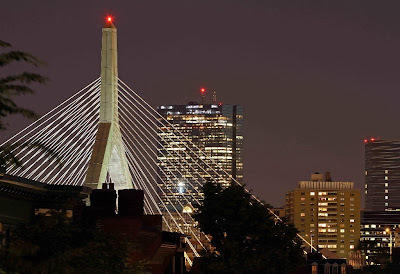 When I am not out and about enjoying the outdoors of the beautiful state and national parks/sites of New England I keep myself busy with local nightscape photography in and around Boston. 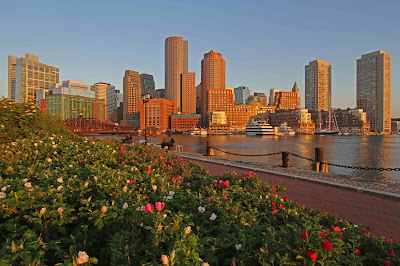 The Boston cityscape provides plenty of photo opportunities for local or visiting travel photographers. 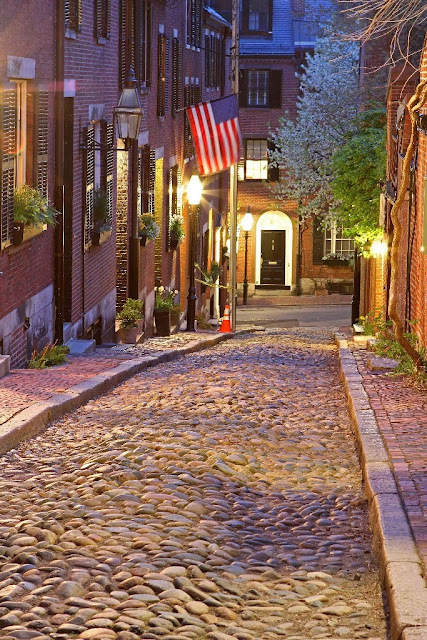 The unique architecture and mixture of old and new buildings, its busy streets and sites make for pristine photo subjects and the New England light paints the landmarks beautifully during the morning or evening golden hours. 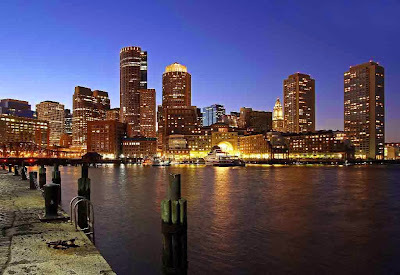 This blog post compiles some of the best Boston Skyline Photography images ~ enjoy! 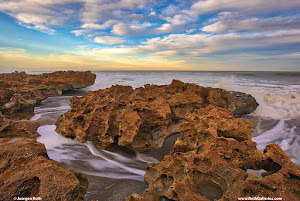 A wide angle lens is the go to lens for scenic Seascape and Landscape photography. 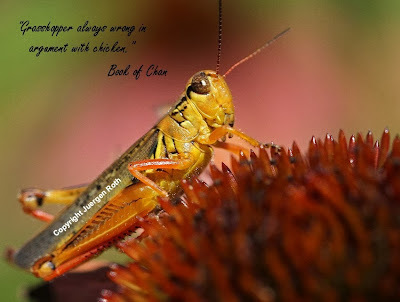 It is a great photo tool for images with impact but without a strong foreground feature, the picture might loose its appeal and only becomes average at best. 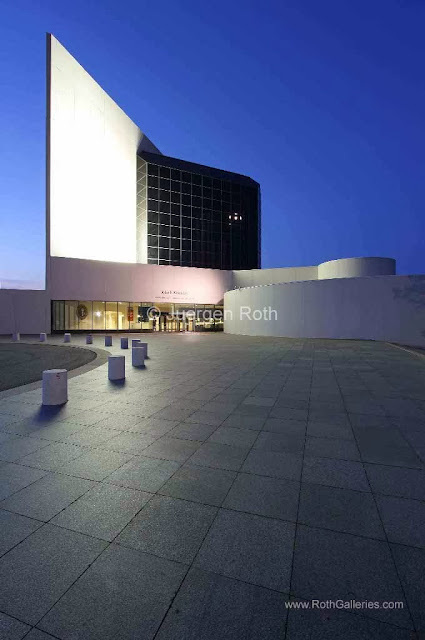 It is often beneficial for a pleasing visual composition to find an interesting element in the foreground and locate it into the lower third of the image, following the Rule of Thirds. 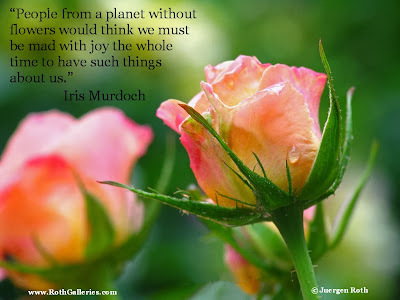 Anything goes that accompanies the picture; flowers, rocks, little trees or shells to name only a few. 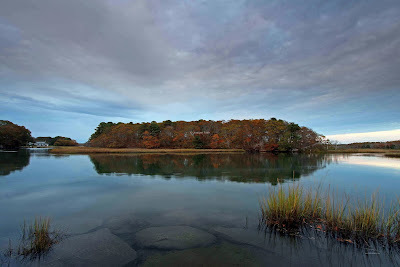 The idea is to present the viewer with a place to land and anchor before exploring the upper 2 thirds of the photography image. 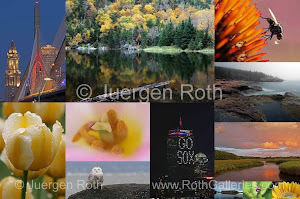 Every week I choose one of my favorite photographs from my Fine Art landscape, seascape, cityscape, flower, abstract and macro photography collection and offer it throughout that week at a discounted rate. 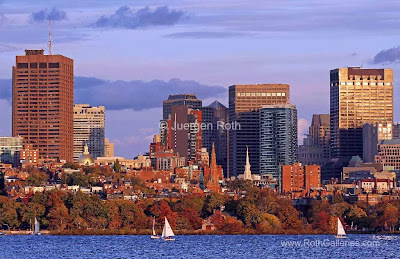 This week's photo artwork of the week on sale is "Fall Glory in Boston", showing the City of Boston and its skyline in autumn splendor. 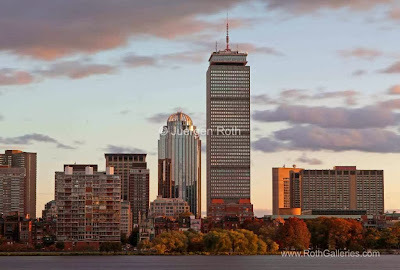 Starting today and the week of 17 November 2013 this Boston skyline photography image from my Boston Art Galleries, available as art photo print, acrylic and metal prints or on canvas, is on sale. 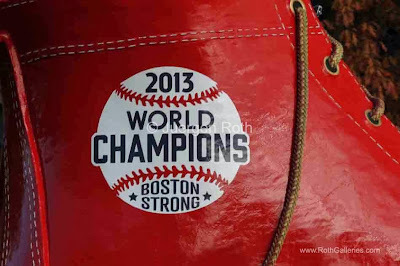 When the Boston Red Sox became the 2013 World Champion I turned on the TV to watch the game as many sport fans in Boston and around New England. 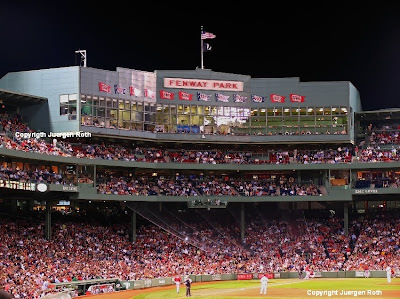 At the same moment the TV camera was moving slowly from the Green Monster, across the bleachers towards the Pesky Pole. 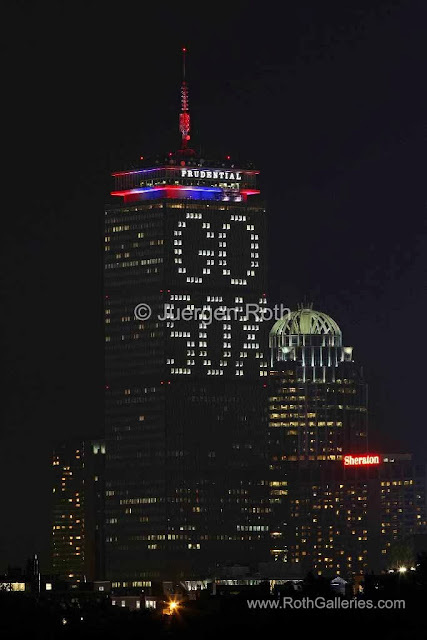 The camera stopped when it hit the Prudential Center which was lit up with a Go Sox message to the players and fans around the globe. 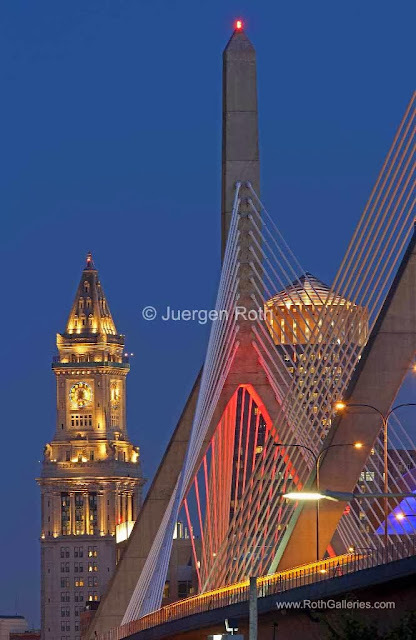 The folks from the Pru often support the local sport teams in their playoff runs and I was able to capture a similar image years ago - I went back many times only to find the landmark not shine in Boston Strong colors and light. 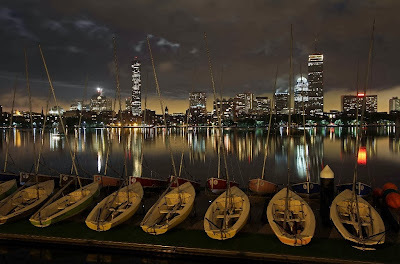 Of course I heard the calling as a Boston skyline photographer and headed out almost instantly. 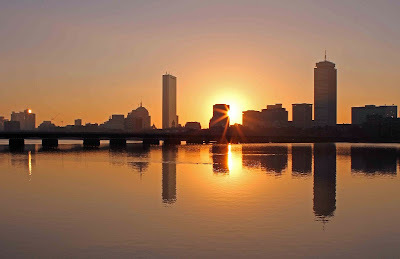 Originally I was planning to capture this unique cityscape image from Memorial Drive because I figured parking would be a major issue around Commonwealth Avenue – man, how was I wrong. There were multiple open spots and I took the best one in the house. It took a couple of minutes to get on location and after setting up tripod and camera gear I instantly started shooting. A lot of people were out and about, crossing over from Cambridge to Boston and vice versa. Everybody was in good spirit and hopes that this night belonged to the Boston Red Sox. Many stopped to chat and take their own picture. A few told me the score and I remember that they were already up by 4. When I left the location I think the Bo Sox were up by 6 and as one could easily figure out that this was the night. 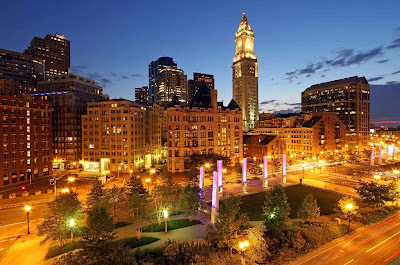 The crowd was increasing by the seconds and streaming towards Kenmore Square and Fenway Park. 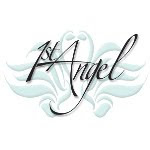 It was a fabulous night and experience! I made it back shortly after 10 and caught the rest of the game and celebration on TV. 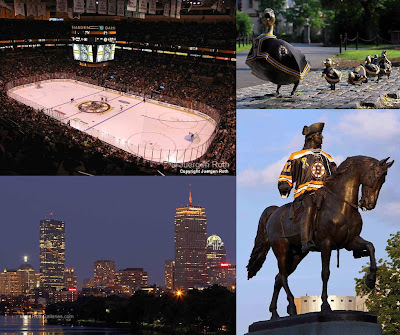 After this year’s Boston marathon bombing this was a welcoming gift of joy to the city of Boston and New England - I think it may have provided some healing following this devastating tragedy. 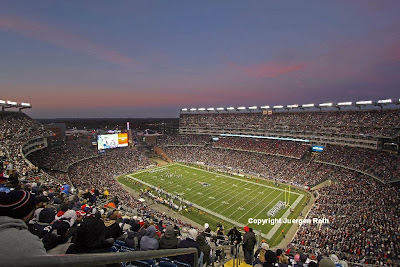 Needless to say that I had to photograph the Red Sox Rally the following Saturday – a blast all around! 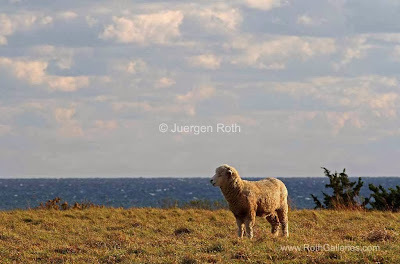 On my way to Gay Head Lighthouse on Martha's Vineyard I came across a herd of sheep. They all went after their own business and couldn't care less that some kind of photographer idiot was trying to get a shot of them. Mostly, they all were facing toward the ocean but after a little bit of patience and making some noise with dried up leaves, this one here finally gave in and looked up, looked around and then looked right. The opportunity for a useable image didn't last long and in the end I got away with a handful of pictures. This one is by far my favorite as the sheep looks like smirking or telling the others a joke about this photographer dude in the distance. The evening light painted the scenery in beautiful golden hour hues. A polarizer filter enhanced color saturation and minimized glare on the ocean surface. During post processing I removed dust spots, minimally adjusted lighting, contrast and color saturation before sharpening the final sheep picture. 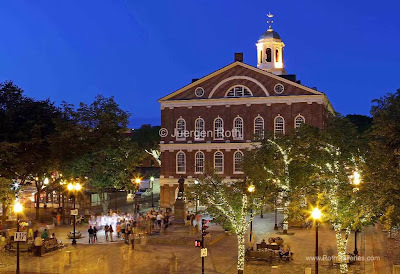 Boston Faneuil Hall is very popular with locals and tourists alike. 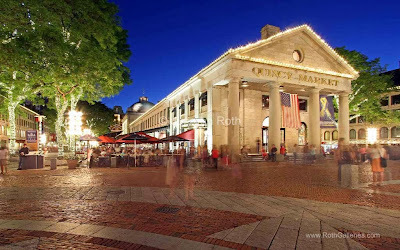 There are many outdoor artists, food stalls, restaurants and shopping areas around the area including Quincy Market. In summer 2013 I decided to capture the buzzing location and translate the excitement of this area into a meaningful photograph. Scouting the area for various perspectives of the historic building was a key part of this assignment. I finally found an elevated spot not far from Government Center. The location provided a beautiful view of the building with the night crowd in front applauding street artists and enjoying finger food. 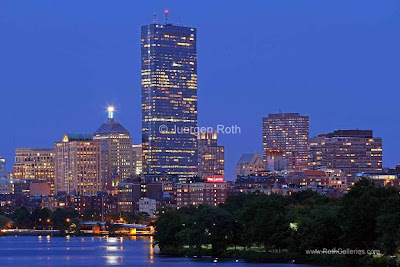 Knowing that there is a short window of opportunity when the twilight paints the sky beautifully in blue hues while the city lights come alive I arrived 30 minutes before sunset to provide for sufficient time to set up and compose an attractive image. Eliminating cars from the picture composition in the foreground was the trickiest part but once I straightened that out it was business as usual. 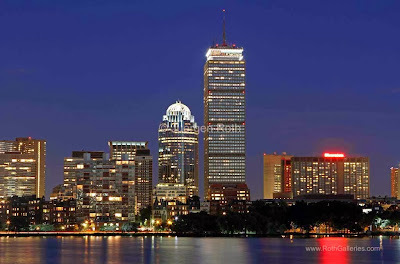 Equipped with a Canon 24-70mm on a tripod I captured the cityscape scenery at its peak. ISO100 at an aperture of f/13 provided an exposure time of 20 seconds. The long exposure allowed for people to appear as ghost-like creatures or eliminate them totally from the frame. 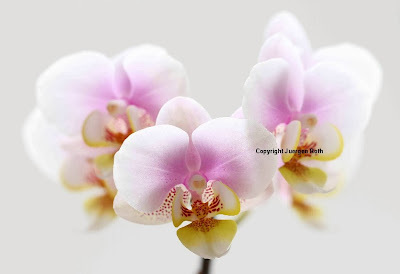 During post processing I removed dust spots before minimally adjusting contrast, lighting and color saturation. At last I sharpened the image to arrive at the final Boston skyline picture of Faneuil Hall.